The moment you set foot in The Chicago Center for Cosmetic and Implant Dentistry you’ll instantly realize what a special place Dr. Thomas Jackson has created. Feel free to bring your own DVD to play during your appointment! Dr. Jackson was able to fix a dental problem I have had for years, that unfortunately other specialist could not fix. He is extremely knowledgeable about dental implants and I felt completely comfortable at his practice. Great staff and atmosphere, which really helps as I am not a fan of sitting in that chair. The TV on the ceiling really came in handy for me as well. This dentist office is the best. From the time you walk in the door, to the time you leave, the people are the best. I have been going there for a few years and I HIGHLY recommend them. Dr. Jackson is great and his hygienist is also. You will not be disappointed if you go there.I always look forward to my visit. My dental hygienist, Alison, is the BEST! All of the staff are so helpful and so friendly. I was referred to Dr.Jackson by another oral surgeon who stated that if he or one of his family members needed the type of work he believed I would require, he would send them to Dr. Jackson. I required some bone grafting, a new crown and a new implant and everything those processes entail.Throughout the entire process Dr. Jackson always informed me of the next step of the process and gave me all of my options for each step in that process. I was always kept comfortable. The new crown and implant are undetectable, as they are such a good match. And most importantly the end result is amazing. I have a great new smile with a lot to smile about, thanks to Dr. Jackson and his wonderful staff. My best friend referred me to Dr. Jackson several years ago and I am SO GLAD she did. I had a major problem with a specialist that started an implant and was doing it all wrong. Dr. Jackson took me in and fixed it so it was perfect! His office is warm and welcoming and his staff are top notch! Dr. Jackson himself is a wonderful person who is very knowledgeable in his profession. Dr. Jackson and his staff recognize my special needs with choking when we do impressions and make me feel as comfortable as they possibly can. Looking forward to a long lasting relationship in regards to all my dental needs. Thank you to everyone at The Chicago Center for Cosmetic and Implant Dentistry - you are all wonderful !!! This is the best "teeth and mouth place" in town for all your dental needs! I have been a patient for years, as well as my sons and many referred friends. From getting teeth fixed from hockey events to a bone graft and a general cleaning, this is the place to go. Going to the dentist is usually not a favorite social spot for any of us, but our mouth and teeth is the beginning of our total health and nutrition. The entire staff makes the visit pleasant, calm and so professional. The office is fabulously clean and the latest in equipment to meet your needs. You will not be sorry you made this office your choice in cosmetic, implant, or oral health care needs for your beautiful smile! I am so glad a family member referred me to Dr. Jackson. I've gone to other dentists and periodontists through the years, but have never been so satisfied with a dental professional as I am with Dr. Jackson. He has taken care of my regular check-ups, implants and crowns for me. All done with little or no pain. He explains everything he is doing and is very patient when I ask questions. I have since referred family and friends to him. They are also extremely pleased with his work and kind demeanor. The staff are all so warm and friendly, I feel like I'm visiting friends when I go there. The whole atmosphere is soothing and calming, very important in a possible stressful situation. I hope many other lucky people will find out about Dr. Jackson. I have not had an opportunity to meet with the doctor as I was referred there for a scan of my jaw. However, the two times I have been there, the office has been exceptionally friendly. They have been great in accommodating me due to the limited time I have. They were able to schedule my appointments and get me in and out within the time allotted to me for lunch at work. If I lived in the area I would definitely have them as my dentist. I will continue to recommend them to anyone looking for a dentist within the area. Dr. Thomas Jackson's ability to connect with his patient is extraordinary. The moment that you enter his office you just know that this is going to be an excellent experience. The staff is friendly and the office is relaxing. Dr. Jackson meets you and from that time on you know that you are in experienced hands. All procedures are fully explained and and with the high tech equipment that is used you do not feel that you are in the office of a dentist but in a spa. Going to the dentist is now something to look forward too. I've been to several dentist but never seemed to find one that truly cared about the patient until I discovered Dr. Thomas Jackson. He is very smart and knows what he is doing. He takes the time to thoroughly check your teeth and gums. Alison, the dental hygienist, is one of the best hygienist I have ever been to. She also takes the time to do a full cleaning and explains the process. The entire staff is very friendly! We have been seeing Dr. Jackson for many years now. What a truly wonderful experience it's been each and every time. Our kids love going and the staff makes us feel so comfortable and welcome. The office looks modern, clean and has a calm feel to it. We live over 45 minutes away and it's definitely worth the travel. I was referred to Dr. Jackson about 8 years ago after a bad experience with a dental implant elsewhere...and I have not looked back since. During my initial implant/corrective treatment, Dr. Jackson made a promise to me that I would not be without my front tooth at any point, and he was put to the test one Saturday when my temporary broke! I called, and even though he was off, he told me to come right in and he put me back together - good as new! He is always professional and patient and really listens to your needs and expectations and then replies with all of your options. His staff is superb as well - from Karen's friendly smile at the front desk to his amazing Dental Assistant Amanda and gentle Hygienist Alison, you could not be in better hands. I almost enjoy my trips to the dentist now, and drive 70 miles each way because I trust in them so much! Not everyone likes going to the dentist, but I can honestly say I enjoy going to the dentist because I visit Dr. Jackson's office. I currently live in the city of Chicago and I travel back to Barrington for my appointments and really do not mind making the trip at all. The quality of care they have there is comforting and Dr. Jackson's dental hygienists and staff are very welcoming. I would happily recommend family and friends to The Chicago Center for Cosmetic and Implant Dentistry. Dr. Jackson was highly recommended to me by my orthodontist, Dr. Schmidt in Cary. I'm so glad that she shared the referral with me! I appreciated Dr. Jackson's time, expertise and professionalism with my cosmetic dentistry. Everyone on staff is warm and friendly and they consistently go above and beyond to make every dental visit a very positive experience. I'm very pleased with the work Dr. Jackson has done for me and I highly recommend his practice! Tom has been my dentist for 5 years and is awesome. I first contacted him in an emergency situation as result of a bridge coming off my front three teeth. I was not even a patient at that time and Tom got me in immediately and solved my problem. He is always professional, and friendly, and does great work. I highly recommend Dr. Jackson, in addition to being up on all the latest techniques, materials and technology, he is super careful and aware of his patients comfort. I switched to Dr. Jackson a couple of years ago after moving to the northwest suburbs. His staff are extremely friendly and welcoming. I love that fact that they use email and texting for appointment reminders. Dr. Jackson is someone I instantly trusted and felt confident in his abilities. I would highly recommend him to anyone looking for a dentist. Dr. Jackson is a very caring and patient doctor. He is also very knowledgeable with regards to what are the latest methods or techniques relating to his specialization and in general dentistry. The office receptionists and assistants are friendly and attentive to your needs. The office is very clean and updated with the latest technology. Dr. Jackson's office has always been extremely helpful and accommodating. I have seen Dr. Jackson for several procedures and could not be happier with the results. My options are always clearly explained by the doctor and staff and I cannot praise enough the level of professionalism, kindness and care this office provides. Truly an exceptional practice! I haven't enjoyed going to the dentist my entire life, but here is a dentist's office thats actually really good. They do everything they can to make sure you are comfortable while you are there. Everyone is very nice and respectful, but most importantly, they do a great job. Thanks Dr. Jackson! For years I have been a bit neurotic about going to the dentist...in fact I put it off much longer that I should have. After having a tooth chip suddenly, I made an appointment with Dr Jackson (after a friend recommend him very highly). He got me in right away to fix my chip, and I returned later for a cleaning. The staff made my exerience very pleasant and painless. I am so glad I went to them, and I wish I had found them years ago. Let me start by saying I hate going to the Dentist-- doesnt everyone. When I was referred to Dr. Jackson I was nervous and worried. Let me say that once I walked into the office I was greated with a smile and comfort. My procedure is more than I ever thought I would have to go through and the entire staff has made this a painless process. I literally have had no pain and with the wonderful knowledge and compassion of the staff I am well on my way to healing. I would recommend Dr. Jackson and his staff to anyone I know seeking dental help. Thanks guys for a great job. I had broken my front tooth and was leaving for vacation that afternoon. I called in a panic and not only did they fit me in, but they repaired my tooth in time for my vacation. The work was fantastic and no one even noticed the difference. I was so impressed that I switched all my regular dental work over to them as well. Dr. Jackson is the best dentist in the Chicagoland. His education at an elite dental school (Northwestern University) and training at Johns Hopkins and University of Pennsylvania are exceptional. Dr. Jackson uses the latest technology to enhance patient comfort and safety. All of the CCCID staff are focused on patient satisfaction. My level of confidence in Dr. Jackson's abilities allows me to accept his professional advice and receive the best outcomes, without hesitation. I refer all my friends to Dr. Jackson's Barrington office. I highly recommend The Chicago Center for Cosmetic and Implant Dentistry. They have gotten me in immediately twice for an urgent need and are very sensitive to my "dentist anxiety" putting me at ease. I would highly reccomend Tom Jackson and the Staff - Tom's knowledge and skill is exceptional - He also explains all the options clearly and provides a relaxing and comfortable environment . I have been a patient of Dr. Jackson's for a few years. Everyone at Chicago Center is always very professional and kind. Having missing teeth can be damaging to your self-esteem and the functionality of your smile. Full mouth rehabilitation is for those who desire a healthy and beautiful mouth from top to bottom. Even the smallest tooth flaws can keep you from smiling confidently. Over time, it’s natural for teeth to lose their luster. We love seeing our patients happy and comfortable. Our program for oral hygiene provides a comprehensive approach to oral health and total body wellness. Along with our desire to give you the most comfortable experience possible, Dr. Jackson’s ability to give you the very best in dentistry is backed by his top-tier education and years of hands-on experience. 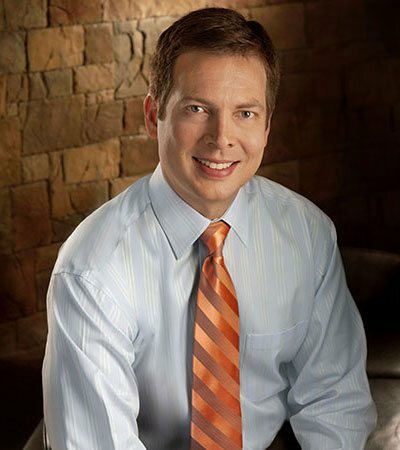 Dr. Jackson has the right background and passion for greatness to deliver dentistry that “Wows”. When looking for a dentist in the Chicago area to care for your smile, you deserve one who truly has your best interests in mind. We invite you to call The Chicago Center for Cosmetic and Implant Dentistry to schedule your visit with our top-notch Barrington, IL, dentist. We look forward to welcoming you to our dental family!